After a little tweaking, this is what I came up with. So what started as a little gift for my cousin ended up with a new hobby for me! Sorry for some of the fuzzy pictures, I only had a few seconds to snap a photo before I finally gave them to their new happy owners. Comm. Design Major, Plays a lot of WoW, and spends all day looking at Cats on the internet. Uh, I never actually measured haha. I just keep referring to them as "baby" sized cause I hugged them a lot when i was making them. Teddiursa I would say was a little less than 12 inches probably. 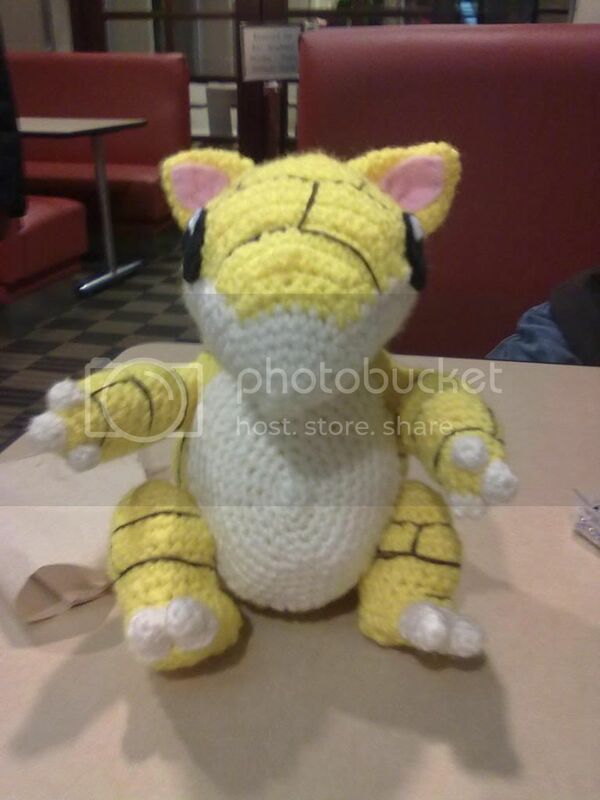 Charmander and sandshrew were also about Teddiursa's size. 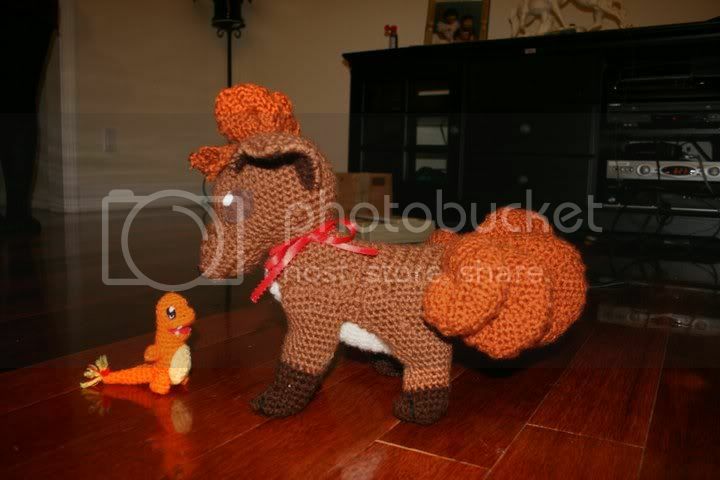 Vulpix was shorter but with its tails it was the longest one I think. 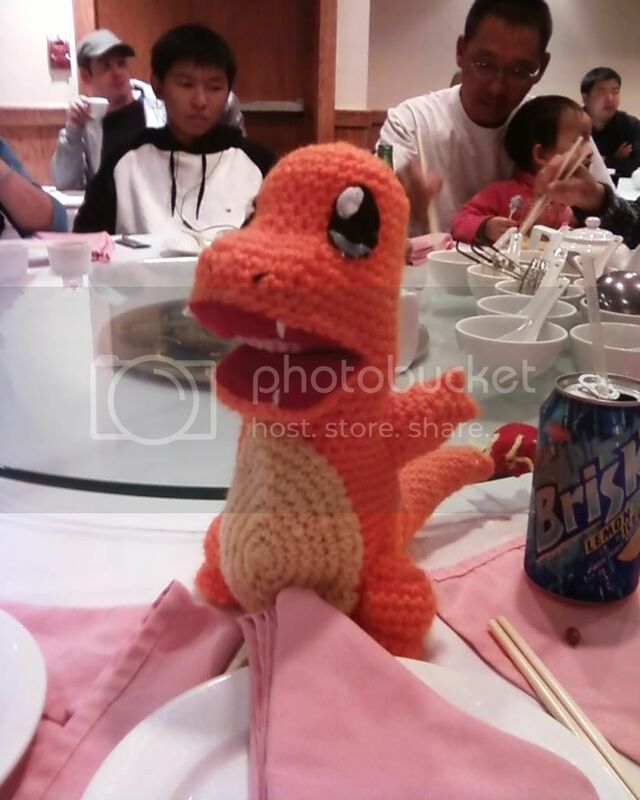 I'm in love with the mini charmander! Too cute!!! Wow, they all look so good! You really have a skill to give them great personality. 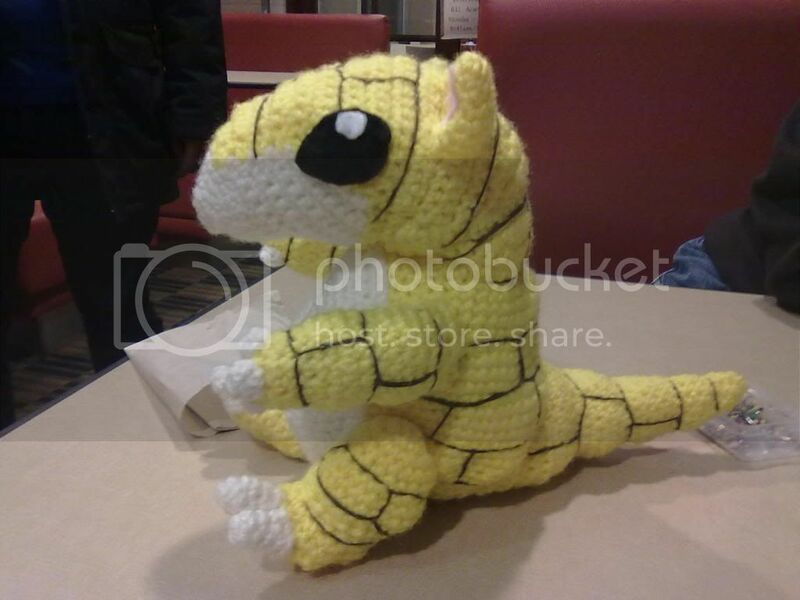 Love the sandshrew! 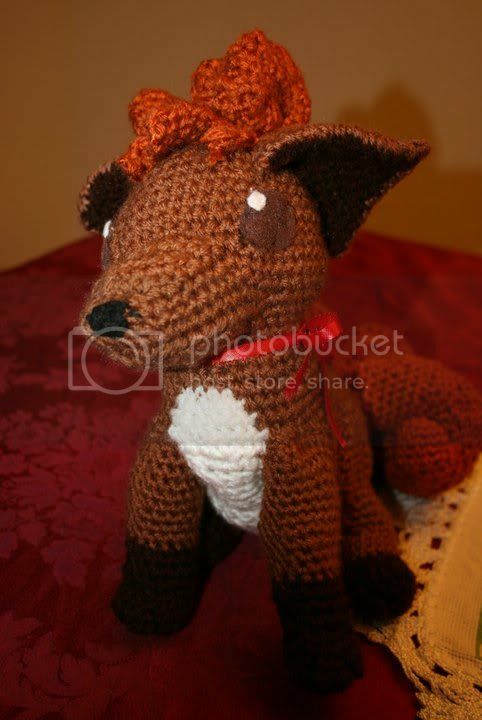 Haven't seen him before, is he a Wolfdreamer pattern too? Dreaming - where the best ideas develop! 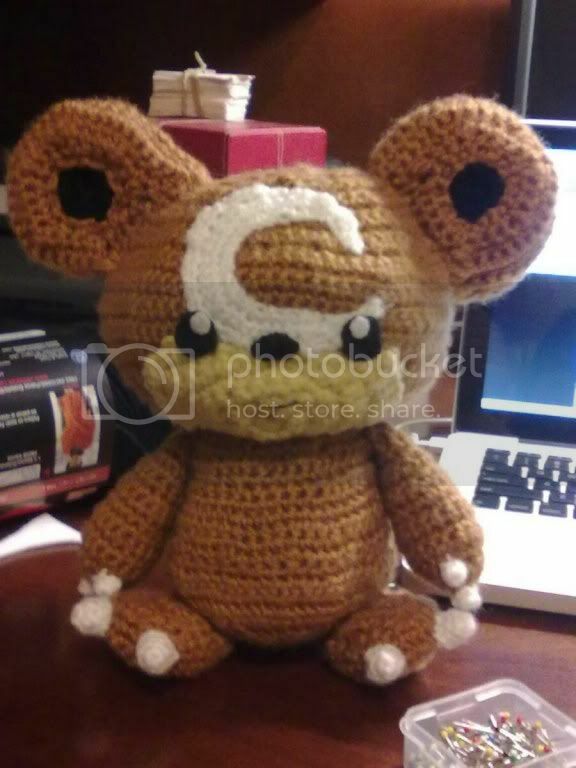 I love the Teddiursa! It's so cute and looks so huggible!